Congratulations to George Seckar, the 2013 Eat’n Park Caring For Kids Car Raffle Winner! Every year during our Caring for Kids Campaign, we raffle tickets for a chance to win a brand new car, and the selection of the winner is one of the most anticipated events following the campaign. Back in December, we visited Children's Hospital of Pittsburgh of UPMC to pick the winning ticket. 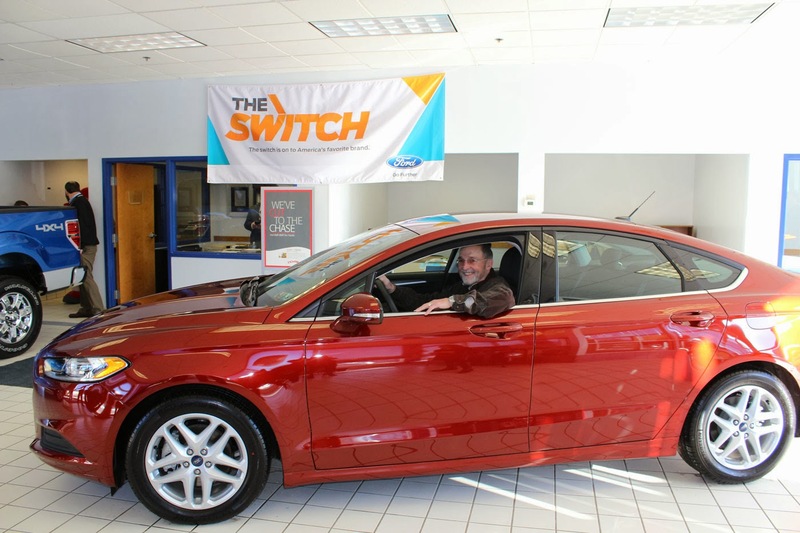 Last week, we got to present the winner, George Seckar of Lower Burrell, with his brand new 2014 Ford Fusion! George was enjoying breakfast with friends at the Natrona Heights Eat'n Park when he purchased a ticket for the raffle! We'd like to thank our friends at the Neighborhood Ford Store for graciously donating a vehicle for this raffle. Our car raffle generated over $113,000 for our Caring for Kids Campaign, which benefits local children's hospitals. Salad Bar Dinner Deals Are Back! Go for the Gold: Coupon for takeout tomorrow!